Shop Aquarian Performance II Series Tom Drum Head Packages from AMS and enjoy Fast & Free Shipping. 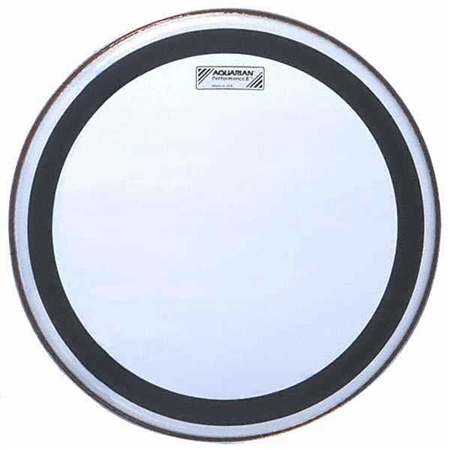 Aquarian Performance II Series Tom Drum Heads are clear, two ply head manufactured with Aquarian’s Vacuum Process which eliminates air bubbles and wrinkles between the two plies. Remember that big, fat, low tom tom sound you heard on the classic rock and roll records? The sound that you could never get on your own? Now you can! 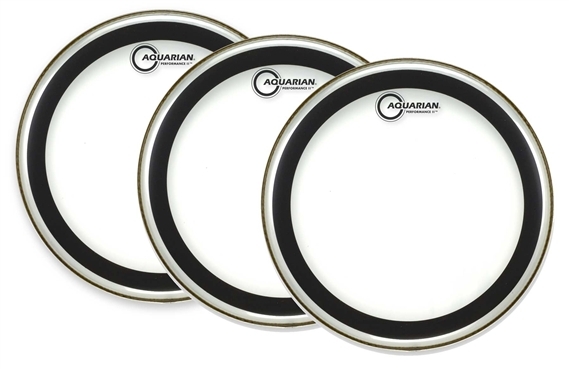 Aquarian's Performance II drumheads were designed for loose tuning to get the depth and punch with no over-ring. This drumhead is sealed around the edge to create that really deep sound on the tom toms. Available in clear fusion or clear standard. Ive played a lot of different heads on quite a few different kits. I sampled these on a sonor and now a Tama silverstar. These heads are durable and will last you a LONG time. They have a GREAT tone to them with little deadening needed for good studio applications. They are, to me, "singing" heads and work well for metal and rock. They're on the cheaper end, but don't let that fool you. Aquarian is well made! As far as the rack toms 8,10,12 they sound ok. To get the deep sound I'm looking for I can't get without the lugs coming loose. The floor toms 14 and 16 sound great I can get that deep punchy sound from them. This head makes the 20" bass drum sound so much larger and deeper than it really is. Sounds amazing and easy to tune! Great bass drum head! I love these heads. I use them on my Yamaha Stage Custom, my Tama Imperial Star and now my DW Performance Series Kits. Nice warm tone, no ring. Great heads for the price! I haven't had these heads for very long so i cant't tell how they will wear. The sound is about what I thought it would be. The heads are a little tricky to tune to the sweet spot. You have to tweek the lugs just right, but when they come in they sound great. AMS gives you a great value for the money and free shipping too! well made,Ill continue to use these heads from now on.